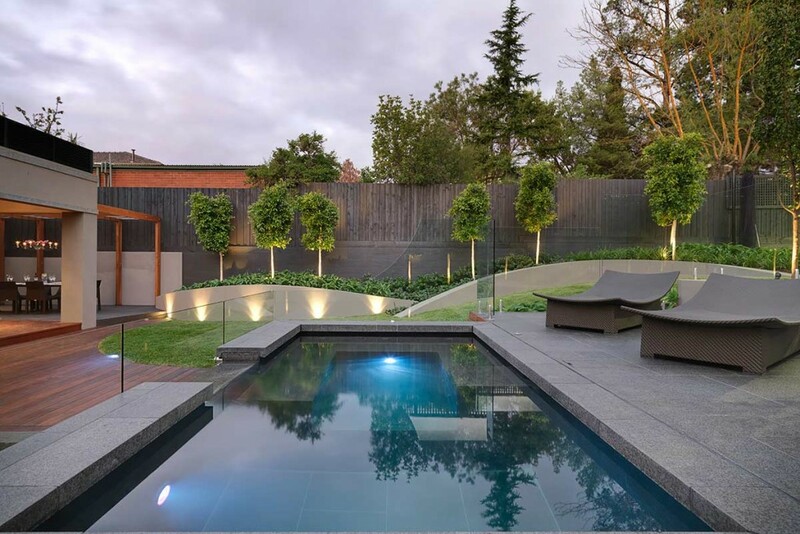 Designed to be the focus of the garden this pool & spa features a granite stone interior that continues into the reflection pond below. 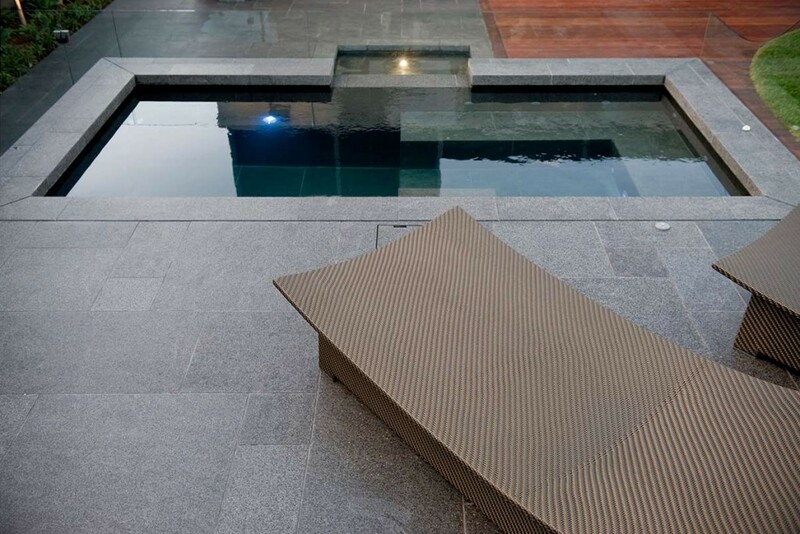 The seated area serves as a relaxing spa whilst the adjacent plunge pool provides the perfect place to relax after a hard game of tennis. 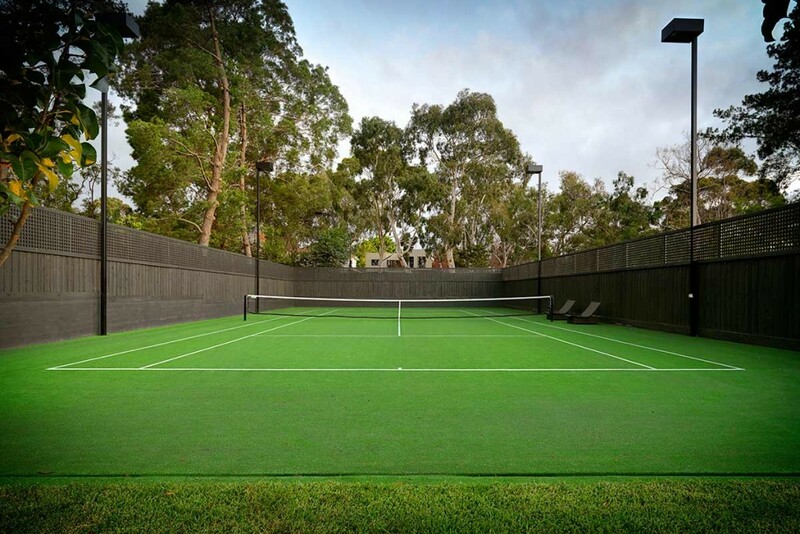 The tennis court has been constructed in conjunction with the boundary walls and fences to maximise the useable area of the court and provide privacy from the adjacent properties. 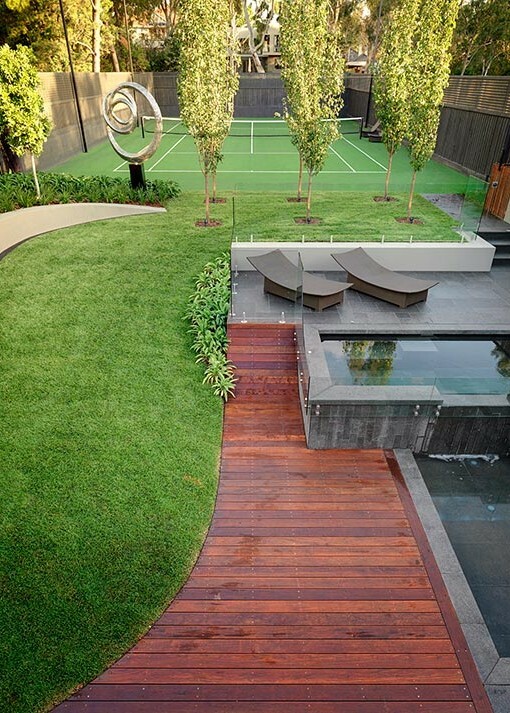 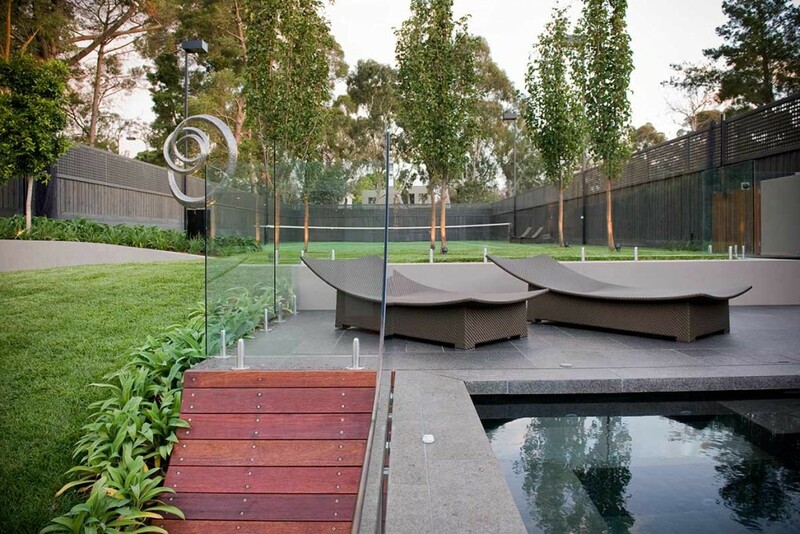 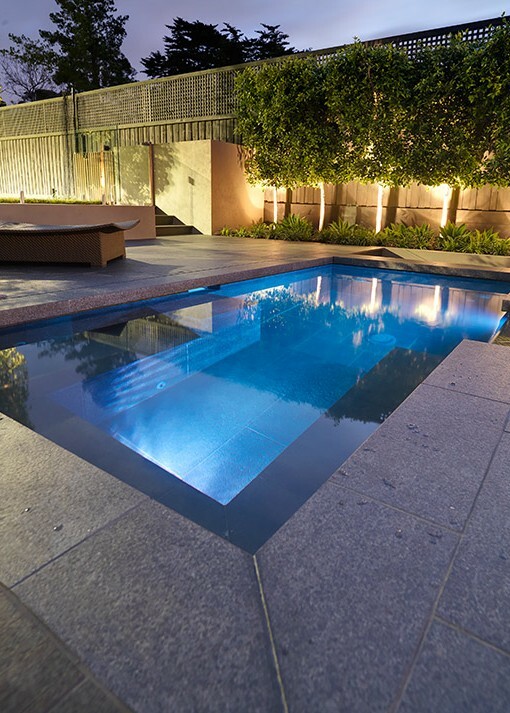 This versatile and innovative design was recognised with a 2012 SPASA Gold Award for “Best Residential Pool and Spa”.